Today, Surface Go, Microsoft’s smallest, most portable and affordable Surface device yet, is now available for pre-order in India exclusively with Flipkart starting from 12:01pm on December 15, 2018. Weighing at just 1.15 pounds and 8.3mm thin, the 10-inch, Surface Go offers laptop performance and tablet portability for individuals seeking a versatile form factor. Surface Go addresses what people wanted from a smaller device – lightweight, productive and accessible. couches – all on a single charge. 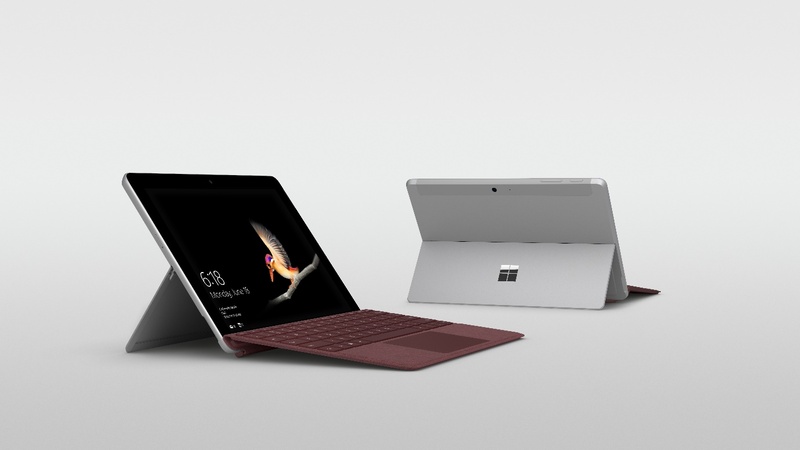 Surface Go also has the ports consumers need, including Surface Connect for charging and docking; USB-C 3.1 for data, video, and charging; a headphone jack; and a MicroSD card reader for storage expansion. For users who require connectivity via video calls, the Surface Go features a 5.0-megapixel HD camera and rear auto-focus 8.0-megapixel HD camera, along with dual microphones to help make crisp, clear video calls via Skype.